Barnes and Noble have just announced that they are to start selling their Nook Glowlight eReader in the UK for £89. It will be available this week at Currys/PC World, John Lewis, Argos, Sainsbury’s, ASDA and bookshop chain Foyles. The new Nook Glowlight was launched late last year in the US. It features an improved display with better resolution, a brighter, whiter frontlight and refined styling. B & N have always regarded the UK as one of their key territories outside the US and first entered the market in 2012 selling the Nook Simple Touch and the Simple Touch Reader with Glowlight as their flagship devices. 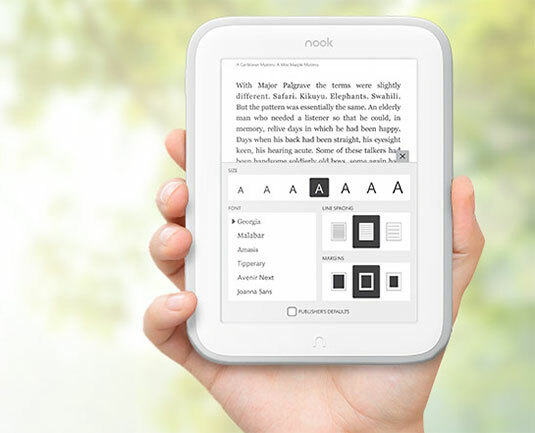 This is the first occasion that the Nook Glowlight has been sold outside of the US.